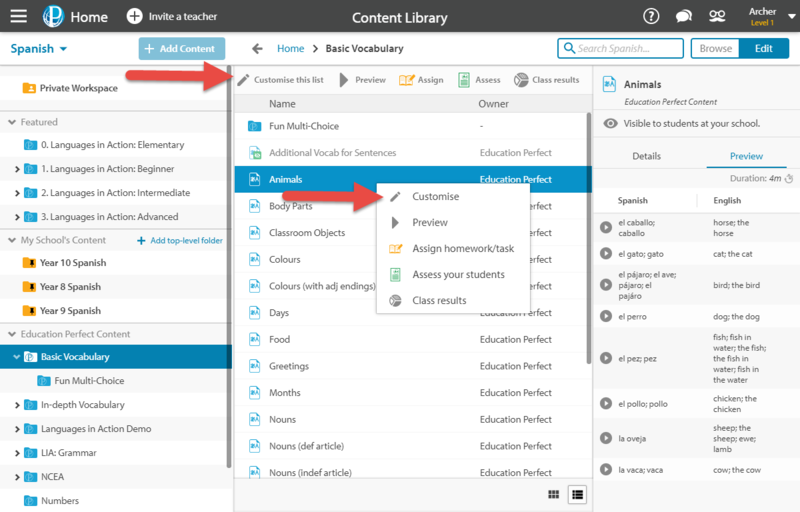 Editing existing vocabulary lists is the quickest way to create custom content for your students. Easily tailor the lists that are already available on Education Perfect to suit your needs. 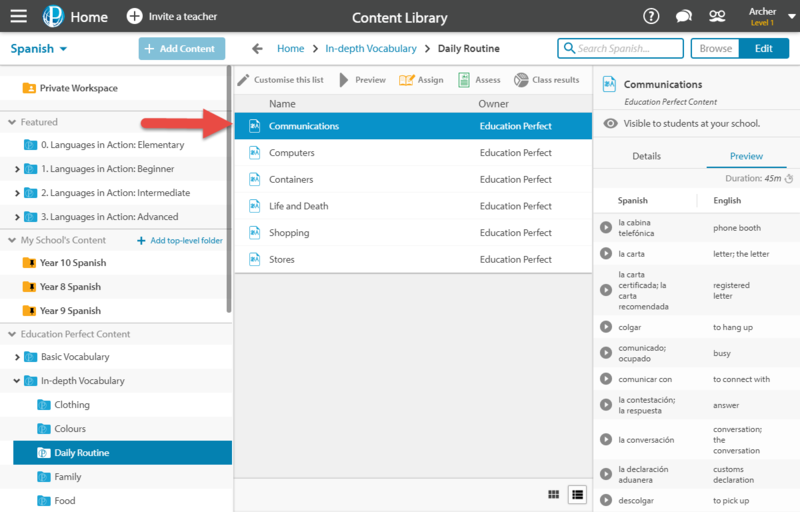 Click on the Content Library from your Control Panel. Switch from Browse to Edit mode, if necessary. Navigate to and select the list that needs to be edited. Find existing content to edit by following this guide to searching content. 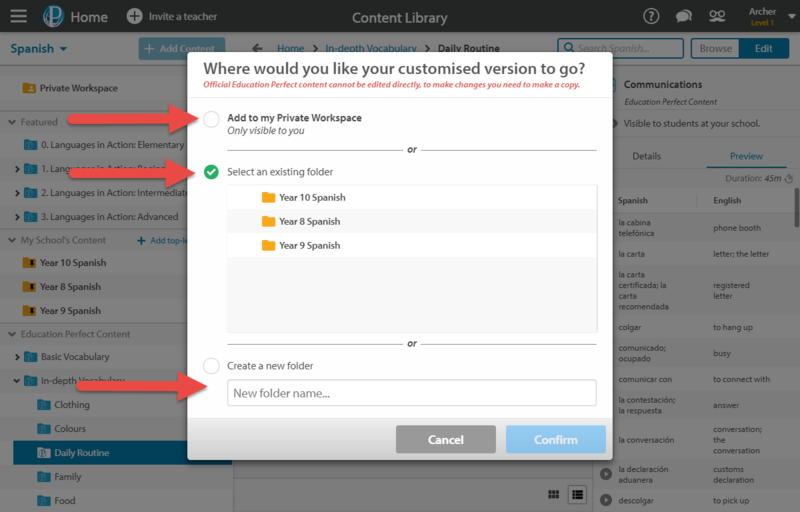 Select Customise this list to create an editable copy of the content - either by right clicking on the content and selecting Make Editable Copy or by choosing this option from the sidebar on the right-hand side. Select where to save the editable copy of the list. 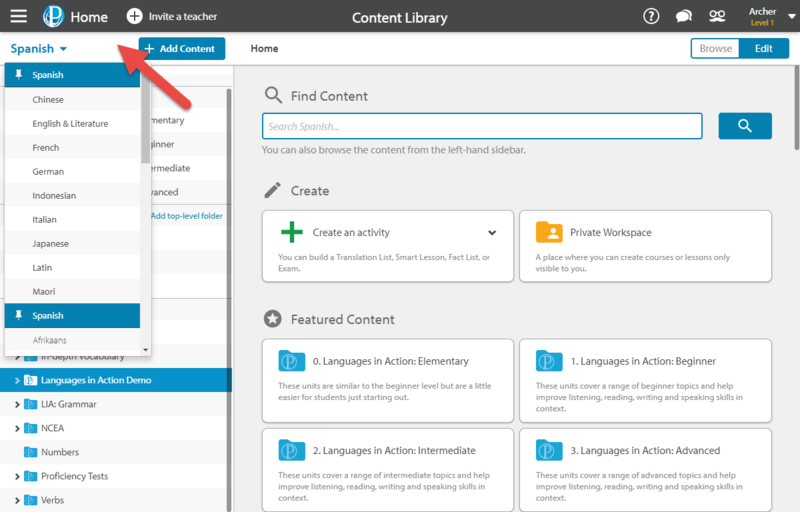 Choose from sending it to your Private Workspace, an existing folder in your school's content, or an entirely new folder. Edit the name of the list at the top of the page. 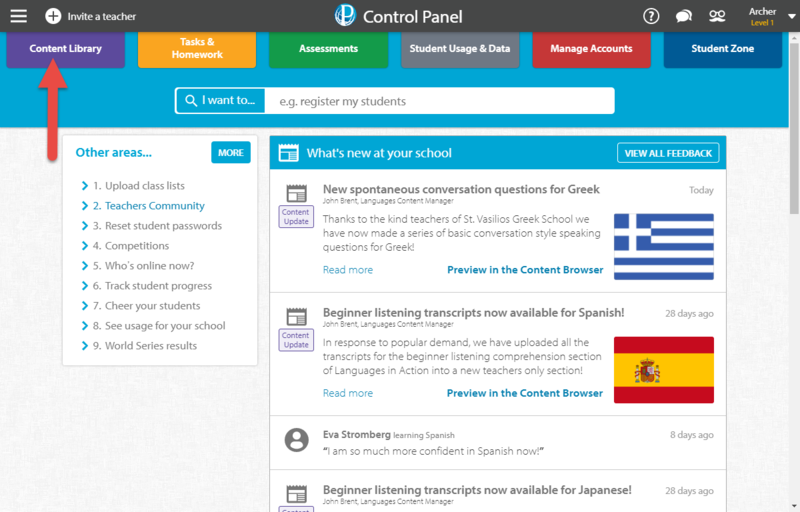 Edit any translations by clicking into the list where you would like to make changes. Add any additional translations using the Add Translation button. This adds a new, empty question to the bottom of the list. To ensure your translations are as accurate as possible, you will be given a word bank to select from rather than having to manually input each word yourself. If you are looking to add a specific word in your list, you can use the search function to quickly find it from the list of vocabulary available. To add your own translation, simply click to the right of the existing definition and start typing. You can also use the Import button to add translation from a spreadsheet, or another existing list. Once you've finished making changes, select Save List.